A heartless monster who looks like a prince falls for a timid plain Jane who’s so self-loathing that she literally hides behind the visage of an old woman long after the spell wears off, and he helps her realize the beauty within… what could be more romantic than that? The two characters see beyond what’s on the outside and fall for all the flaws and realities underneath. It’s simply beautiful. If you haven’t read it, you should. 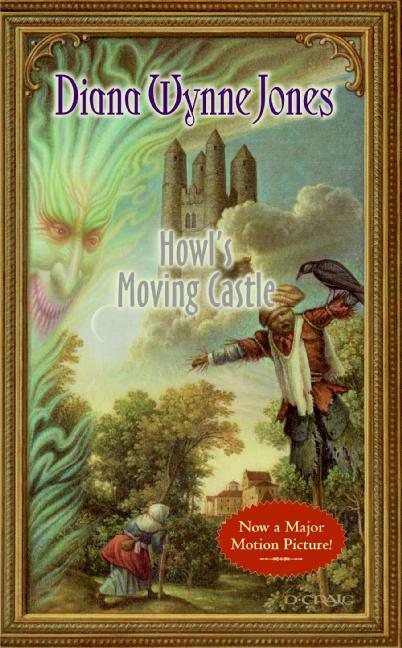 The story is strange and wonderful, filled to the brim with unique characters and magic. It takes a lot to inspire the likes of Hayao Miyazaki, and Diana Wynne Jones does just that with her romantic stand-alone tale about Sophie’s quest into personal acceptance and growth. Just take a look at that castle. 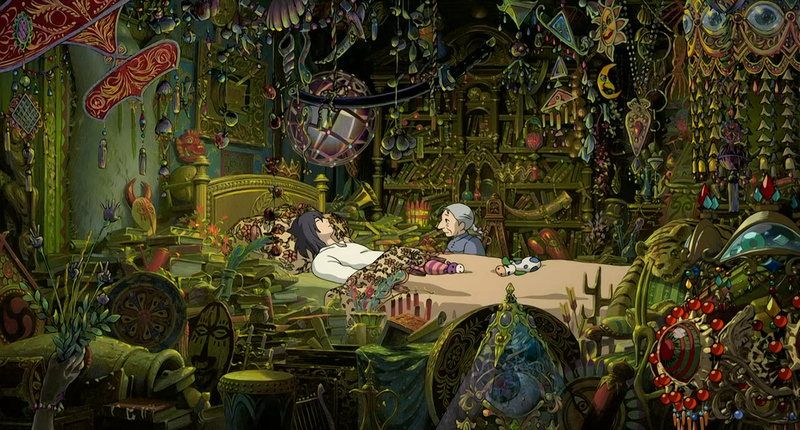 But of course there are all kinds of machines in the world of Howl. Airships are particularly prevalent, but the ground and sea are covered as well. Victorian fashion abounds and the cobblestone streets add a particularly beautiful touch. Villainous witch turned helpless old lady? Talking fire? Bouncing scarecrow? Wizard in training? Adorable pup who speaks in wheezes? Howl and Sophie acquire them all during their travels. And don’t forget the most obvious companion- the castle itself- which is as much of a character as the rest of them. Duh. 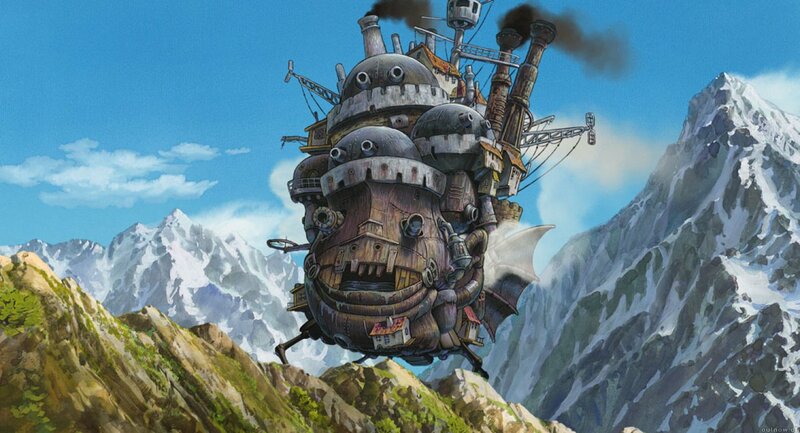 It’s Miyazaki. Would you expect it to be unattractive? War is devastating and almost never has a good reason for starting in the first place. 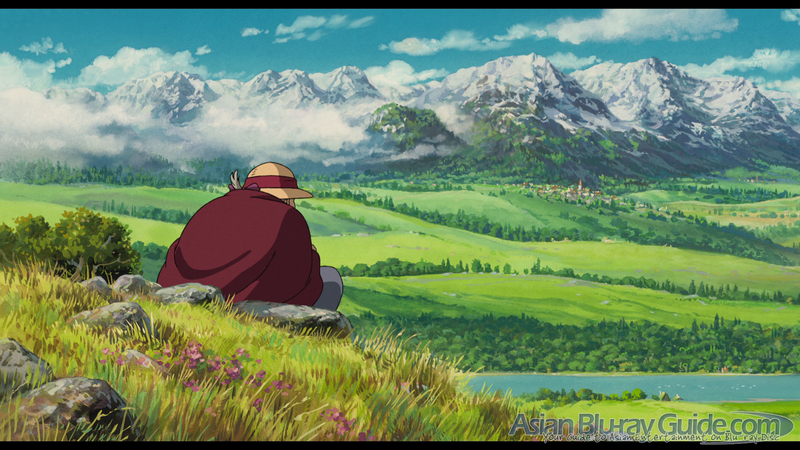 Miyazaki’s message isn’t so much environmental in this tale as his other films, but still poses an important thought. Is anything worth so many casualties? Especially the beautiful theme song “The Promise of the World”, sung by the voice actress who plays Sophie in the Japanese version- Chieko Baisho. Emily Mortimer and Christian Bale voice the main characters, but even the second tier cast is amazing. 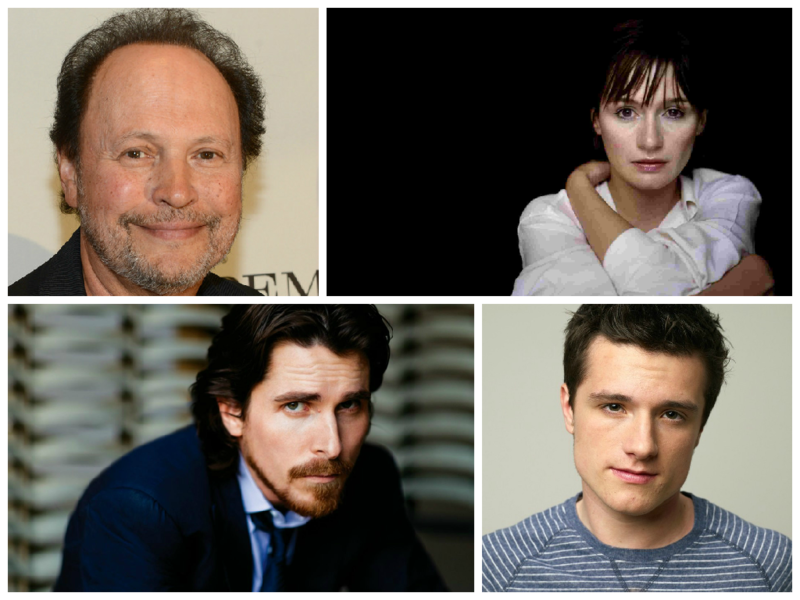 Josh Hutcherson and Billy Crystal lend their voices, as well as veteran actresses Jean Simmons, Lauren Bacall, and Blythe Danner. Good isn’t perfect. Evil isn’t permanent. Monsters can be princes. And ugly ducklings can be prettier than natural beauties. How stinkin’ cute is this couple? I mean, I aspire to this quality of cosplay! And that’s it! How did I do? Did I miss anything? Let me know in the comments below! 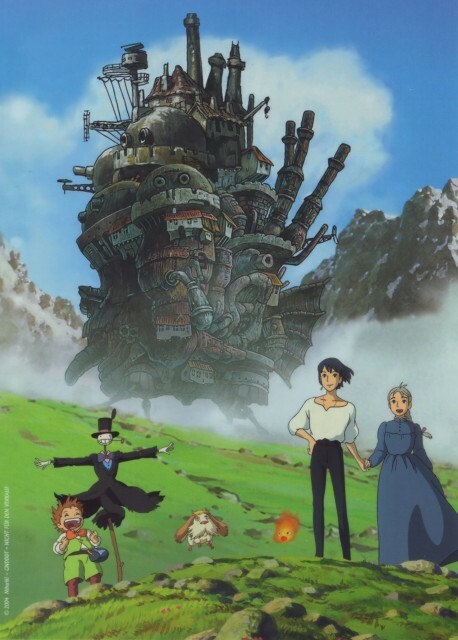 This entry was posted in 10 Reasons, 10 Reasons... MOVIES, Jen P and tagged 10 Reasons, 10Reasons, anime, christian bale, Hayao Miyazaki, howl's moving castle, Jen P, Movies. Bookmark the permalink.